Effective after-sales services are crucial to your operational efficiency. Port-Trade provides fault finding support via our network of experienced service engineers. Ring us any time. Port-Trade supplies spare parts and consumables at competitive prices. Port-Trade supports customers with effective service backup as needed or on a regular basis. 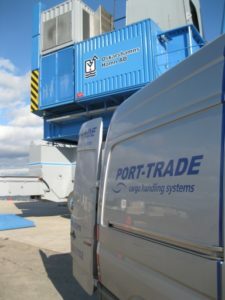 Port-Trade provides technical training of your service personnel – not only in connection with crane deliveries but also as customized follow-up courses.